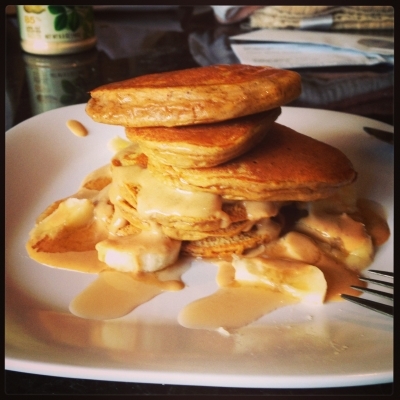 Two of my favorite foods are combined to make one of my favorite go-to pancake recipes. Fluffy, dense, delicious! I used Cellucor Peanut Butter Marshmallow whey to make these (there was no option for which flavor I used in the recipe database). 1. Mix all ingredients in a food processor or blender (I use my Ninja). 2. Heat a non-stick pan coated with cooking spray over medium high heat. 3. Once the pan is hot, add 1/4 of the batter at a time to the pan. When the edges set and the surface starts to form bubbles, flip your pancakes. Cook for about 2-3 more minutes.